What is worth saving in the global banking conflagration? The answer is: not everything. The banking industry got bloated during a decade-long binge. It now needs to shrink. But it wasn’t just the banks that lived high on the hog over the past decade. Ordinary consumers, especially in the US and the UK, were living it up too. They didn’t save enough. It isn’t pleasant for people to tighten their belts. But after years of spending too much, people now need to start saving. What, though, about collateral damage? Isn’t there a risk of overshooting on both Wall Street and Main Street? Couldn’t we end up with so many banks collapsing that the basic functions of the financial system—helping people save and pay their bills—would be compromised? And wouldn’t that turn a needed economic slowdown into an unnecessarily painful slump? There is, indeed, such a risk. But there will also be collateral damage from anything the authorities do to protect banks from failure. The first victim will be the taxpayer. Bailouts cost money. The $700 billion (Rs33.6 trillion) that the US has just agreed to pump into toxic assets has to come from somewhere. The second victim will be the free market. Bailouts distort competition, by allowing weak institutions to survive. They also distort incentives, because those who have been foolish don’t pay the full price of their folly. And they produce a backlash in the form of extra regulation. The more the disciplinary hand of the market is curtailed, the more the clumsy hand of government will step in. So, there are risks both from doing too little to protect banks and from doing too much. The best way of striking the right balance is to separate the innocents from those who should have known better. One group of innocents are ordinary savers. In fact, they are almost the heroes. If there had been more of them, the financial world wouldn’t be in such turmoil today. They must be protected. Another group of innocents are companies and individuals who use the banking system to pay their bills. The payment system is a vital utility. If too many banks went bust, the world could be reduced to a system of barter. The payments system must also be protected—and that means shoring up the big clearing banks that sit at the heart of it, if need be. But preserving strategically important banks doesn’t mean preserving them in their current form. Many may need to change their business mix and some should lose their independence. And it certainly doesn’t mean protecting those who have supplied capital to the banks. Banks typically have three main classes of capital: ordinary equity, preferred or “hybrid" equity, and subordinated debt. Preferred equity is called “preferred" because, in a bankruptcy, it gets preference over ordinary shareholders. Meanwhile, subordinated debt is called “subordinated" because it ranks below other types of debt. However, it is senior to all the equity. There is no moral case for taxpayers taking on any burden before all these classes of capital get hit. Many bankers argue that, if the subordinated debt-holders suffer—as they did in the Washington Mutual Inc. sale to JPMorgan Chase and Co.—it will be hard for banks to raise such capital in future. The obvious riposte is that, if subordinated debt holders lose out now, they’ll be more careful in future. They’ll insist on fatter equity cushions for banks and more transparency so they can make sure the banks aren’t taking excessive risks. A more awkward question is whether to protect other institutions which lent money to banks. In theory, it could be a good idea for those who provide wholesale funding to weak banks to suffer. It would encourage them to take more care in future and reward strong banks. But there has been enough of this blood-letting for the time being. 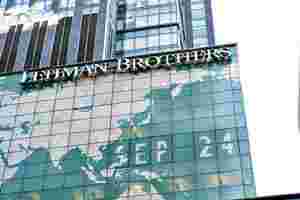 The bankruptcy of Lehman Brothers Holdings Inc. was the seismic event. It didn’t just hit shareholders and subordinated bondholders. It was a particularly messy bankruptcy that hit other debt-holders. The result is that the wholesale funding markets have virtually frozen up, triggering a series of bank crises around the world. Once one has separated the innocents from those who are not, it becomes easier to judge what to do. Measures to increase deposit guarantees for individuals—such as Germany’s decision to guarantee all deposits by individuals over the weekend—are welcome. They protect the heroes who have saved money. But blanket guarantees, on the lines of what Ireland did last week, are not sensible. Pumping liquidity into the markets is also a good idea. As the money markets froze post-Lehman, the central banks stepped into the breach. They have lent more money, for longer periods of time and in return for less high-quality collateral. Such measures are needed to prevent the entire system from seizing up. But central banks have to be careful not to nationalize bad banks inadvertently. If they lend money to a weak bank in return for trashy collateral and the bank then goes under, that’s precisely what will happen. Central banks have gone so far along the road of pumping liquidity into the system that they are now close to nationalizing bad banks inadvertently. An effort now needs to be made to recapitalize weak banks. But there are good ways and bad ways of doing so. The best alternatives are entirely private sector solutions, such as UniCredit SpA’s €6.6 billion (Rs43,000 crore) recapitalization at the weekend or Warren Buffett’s decision to invest $5 billion in Goldman Sachs Group Inc. Where government money itself is required, the key is to get as good a deal as possible for taxpayers while distorting the market as little as possible. A good example was the Federal Deposit Insurance Corp.’s (FDIC), deal to smooth Citigroup Inc.’s takeover of Wachovia Corp. It said that it would absorb losses on Wachovia’s “bad bank"—but Citi had to take the first $42 billion hit. What’s more, in return for putting taxpayers’ money on the line, FDIC was to receive $12 billion of preferred shares in Citi. Even though this deal may now be broken up by Wells Fargo and Co., it was a good one for taxpayers. It was certainly superior to what the Federal Reserve managed to get when it brokered Bear Stearns Companies Inc.’s takeover by JPMorgan in March. In that deal, JPMorgan only had to take the first $1 billion hit on Bear’s bad bank and the Fed didn’t get anything in return for taking the remaining $29 billion exposure. In general, taxpayers should try to get as much protection as possible. This means investing at a level more senior to all the existing classes of capital. It also means getting a good interest rate and a share in the upside. On the other hand, the US treasury’s $700 billion bailout scheme looks like a way of wasting taxpayers’ money. Although the details are still murky, the government will probably end up buying a series of bad banks at inflated prices. Better to have injected capital into weak institutions at advantageous rates—or to have done what the UK did last week with Bradford and Bingley Plc. Taxpayers ended up with the bad bank but only after wiping out all classes of capital. One objection to the British approach is that nationalization is generally a bad idea. When institutions are controlled by politicians, they tend to be less efficient. They can also become breeding grounds for corruption and often receive unfair advantages that undermine private rivals. So, nationalization should be used only as a last resort. But, this crisis has so long to run that even this unappealing tool may have to be used again.